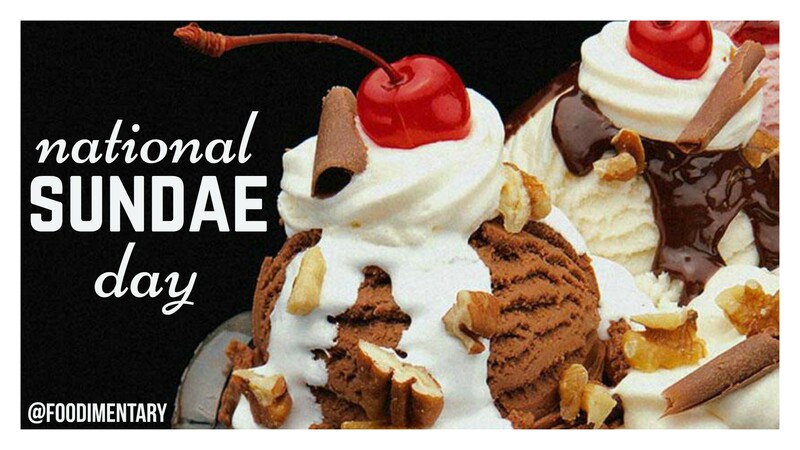 November 11th is National Sundae Day! In 1985, the biggest Ice Cream sundae was made in California. It stood 12ft tall and was made with 4,667 gallons of ice Cream. At a price of $1,000, the most expensive ice cream sundae is the Serendipity Golden Opulence Sundae, sold by Serendipity in New York City. The average American eats about 20 quarts of ice cream a year―the world’s highest per capita consumption, according to the International Dairy Foods Association. Marco Polo brought back a sherbet dessert recipe from China. Chocolate syrup is the world’s most popular ice cream topping. 1790 Chrysanthemums were introduced to England from China. Both the greens and blossoms are edible, and are particularly popular in Japan, China and Vietnam. 1918 Karen Hess, culinary historian, died. Some of her books were ‘The Taste of America’ (1977) and ‘Carolina Rice Kitchen: The African Connection’ (1992). She also annotated Mary Randolph’s ‘Virginia Housewife’ (1983). 1933 The first great dust storm occurred on the Great Plains. 1938 Typhoid Mary (Mary Mallon) died at North Brother Island, New York City. She was an infamous household cook who was responsible for major outbreaks of typhoid in the New York City area in 1904, 1907, and 1914. She was immune to typhoid, but was a carrier of the bacillus, and spread it wherever she worked as a household cook. 1945 Vincent Martell of the music group ‘Vanilla Fudge’ was born. 2006 A Hong Kong real estate tycoon and his wife paid $160,000 for a 3.3 pound Italian Alba white truffle.